The League of Legends World Championship gets into full swing on Wednesday when the Group Stage begins and a myriad of top teams will be looking to claim the title. There’s a huge amount of talent on display with the Chinese and Koreans once again expected to shine – it’s 1.746 that a Chinese team wins and 2.290 that a Korean one does. Gen.G are back to defend their title that they won as Samsung Galaxy – they are 6.950 to do so – and this year there’s more than $800,000 on the line for winning. However, half a dozen teams look capable of claiming the crown – there are five at single-figure prices with Dafabet, led by Royal Never Give Up at 2.170. 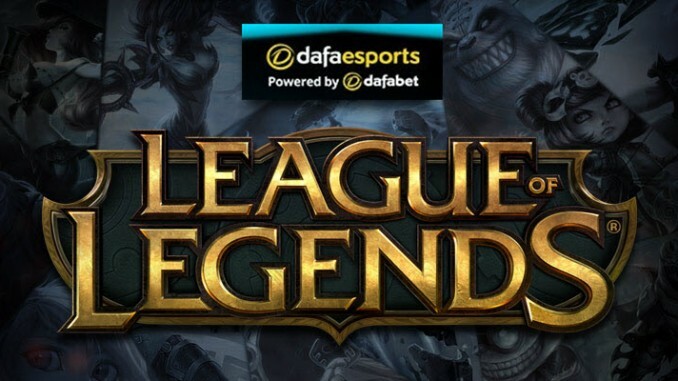 Then come kt Rolster (4.880), Invictus Gaming (6.080) and Afreeca Freecs (6.510). The LPL’s Royal Never Give Up arrive after a year of dominance, with only the world title missing from their trophy cabinet. While the entire team have received deserved praise for their excellence, Bottom-laner Uzi has been the true star, establishing himself as arguably the best player in the world. RNG invest heavily in getting Uzi ahead, selecting supportive control mages for the Mid lane despite the prowess of Xiaohu. There still remains some hesitation around RNG due to China’s previous struggles during World Championships, although this team continue to shatter any prior expectations of the region and are China’s best-ever hope of winning this tournament. Can kt deal with expectations? kt Rolster enter as the number one seed from the LCK, with their star-studded roster finally appearing to be living up to the expectations. kt have long been an organisation known for underperforming when expectations are high. Yet this year, similar to RNG, kt have begun to shake that stigma, beginning with their narrow first-place finish in both the Regular Season and Play-offs of the 2018 Summer split. Jungler Score is the heart and soul of this team, being one of the most experienced players and bringing a mechanical level of skill. The wildcard for this squad is Mid-laner Ucal, a talented youngster with minimal international experience. The second seeds from Korea are the Afreeca Freecs, who have had to make a tough decision in terms of their roster. They are one of the teams who often use a seven-man roster, including two Bottom-laners and two Junglers depending on the situation. But due to the Worlds’ restriction of having only six players, Afreeca have decided to bring both Junglers and stick with Kramer as their Bottom-laner. Kramer is a player who has a lower ceiling than Aiming, but his vast champion pool and consistency have been preferred. There is also the high variance two Junglers can bring to a team, compared to two Bottom-laners. The core of this team is Top-laner Kiin, a player who has become widely accepted as the best in the world in his position with his mechanical prowess, versatility and champion diversity. The hope is that Support player TusiN can have a return to his previous star form, especially given the engage support meta that appears to favour him. Korea’s third seeds are defending world champions Gen.G, who rode a late-season surge through the Gauntlet in order to qualify. Formerly known as Samsung Galaxy – the title under which they won last year – Gen.G struggled for much of 2018 to find a consistency at the highest level. However, the decision late in the year to swap over to both Haru in the Jungle and Crown in the Mid lane paid off, with the team finding a renewed energy. Ruler remains the rock of this squad, with a highlight match-up against RNG’s Uzi in Group B being one of the key battles in the Group Stage. The second seeds from China are Invictus Gaming, a team who narrowly fell to RNG in the Summer Split Finals in the fifth and final game. IG are a team loaded with talent, with the likes of Rookie and TheShy being two of the most hyped players in the entire event. Most eyes will be on TheShy, a player with major boom-or-bust potential. That said, IG do have a back-up plan should TheShy have any trouble, with Duke waiting on the bench.